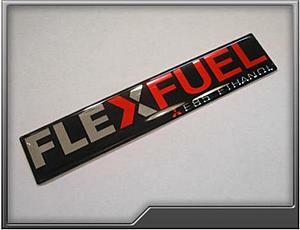 We are looking to coordinate a group buy for these custom Mitsubishi FlexFuel badges. Please let us know what you would like to see. Once we can establish design(s) we will then work out quantities along with pricing. Last edited by Dynotech Tuning; Mar 16, 2013 at 03:26 PM. Please specify which style you want. Last edited by heel2toe; Feb 6, 2013 at 07:20 AM. Im suprised the haters havent trolled into this page saying that our cars arent true flex fuel and what not cuz we prolly dont have a fuel sensor that automatically adjusts our ecu. I have had alota guys on FB argue that. Anyways email me if this does take place. Thanx. True flexfuel capabilities is in the works thanks to some bright folks on this forum. Keep an eye on this thread, to see how much traction we get with others. I'm in! e85 all the way baby! :P just got a tune few months ago for e85 and love it! My two favorites are the CF Evolution and the CF ethanol tuned. Thoughts? Last edited by heel2toe; Feb 3, 2013 at 09:15 AM. ^^^and here they are. Suprised it took so long.